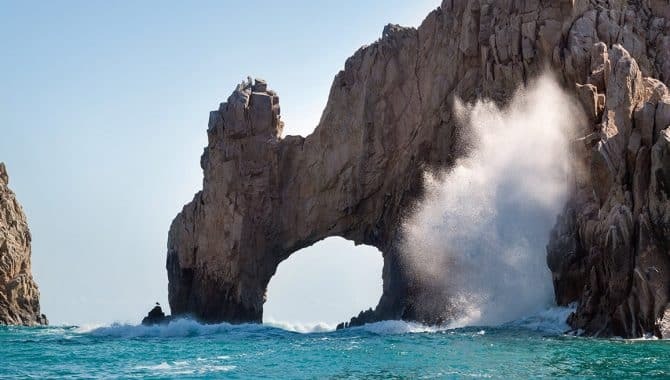 The area of Los Cabos has unparalleled beaches and many superlatives, from the Marlin Capital of the World, to earning Jacques Cousteau’s nod as “The World’s Aquarium.” One benefit of vacationing here though, besides the perfect balance of metropolitan life in Cabo San Lucas and the colonial, authentic experience in San Jose del Cabo, is that all ages are welcome. 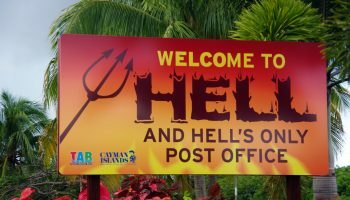 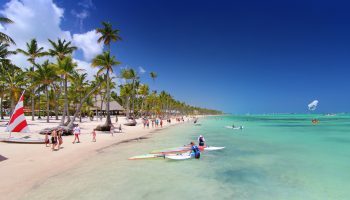 This is a truly multi-generational beach destination with something for everyone. 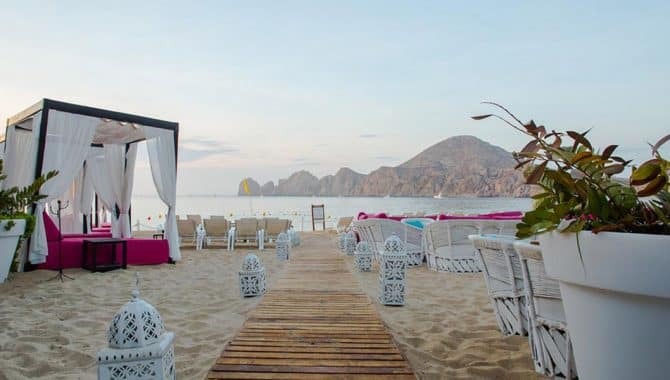 These curated beach hotels and resorts cater to families, with amenities including kids’ clubs, childcare options, kid-friendly packages and designated children areas on property. 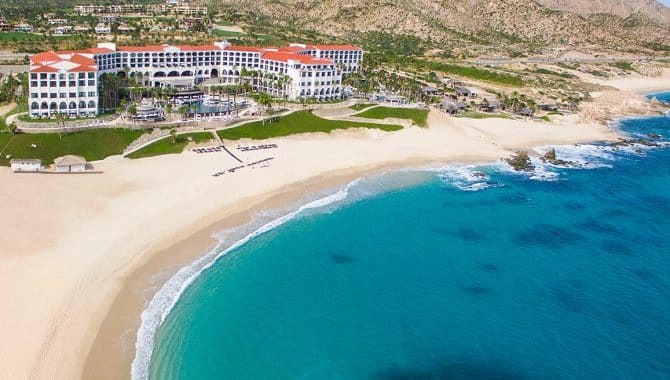 For families looking to relax and unwind in Los Cabos, check-in to one of these family-friendly hotels and resorts right on the beach. 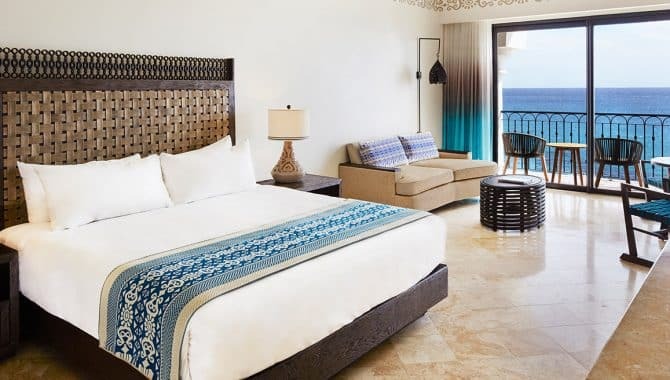 The resort features five different room categories which range from entry-level deluxe superior (one room) to sprawling three-bedroom penthouses with large living/dining areas, gourmet kitchens, and up to 4,316 square feet of floor space. 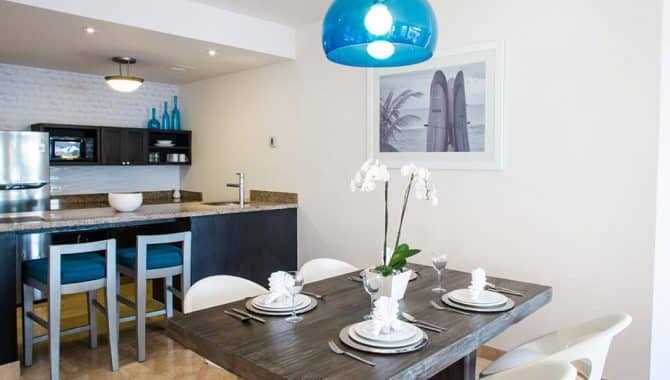 The larger apartments feature full kitchens, separate bedrooms, jetted soaking tubs, and large balconies with barbecues. 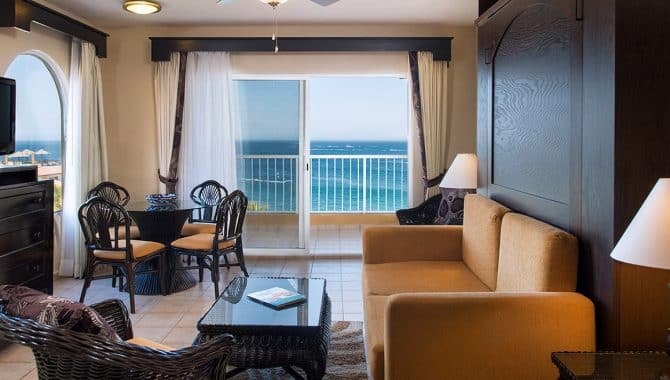 All rooms have free WiFi and flat-screen TVs. 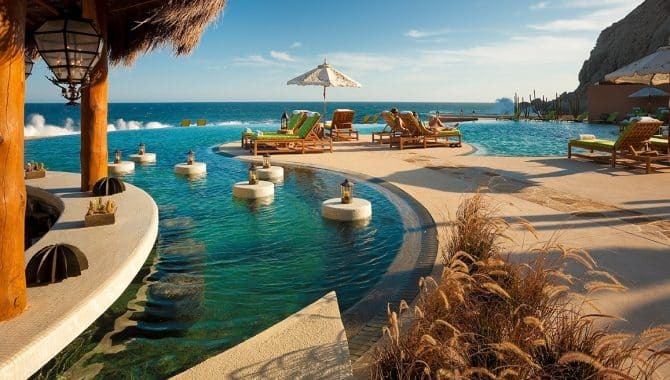 Almost half of the resort’s property is occupied by a zero-entry, freeform pool. 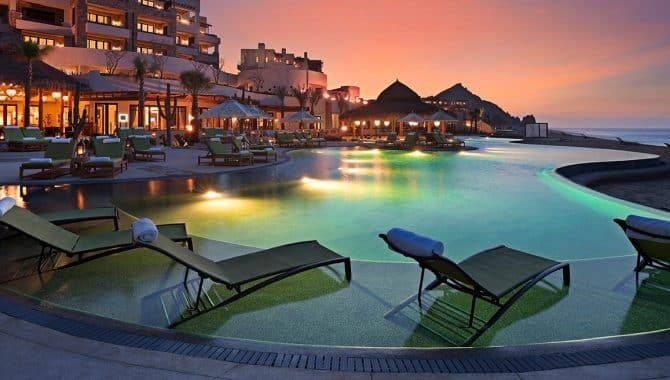 Artificial rock formations, waterfalls, and sand-colored tile on the bottom give it a lagoon-like feel, and there are plenty of poolside chairs with umbrellas. 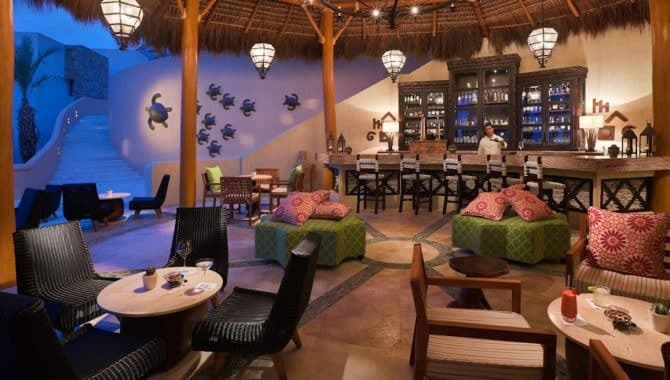 Two on-site restaurants offer dining in a casual yet elegant atmosphere. 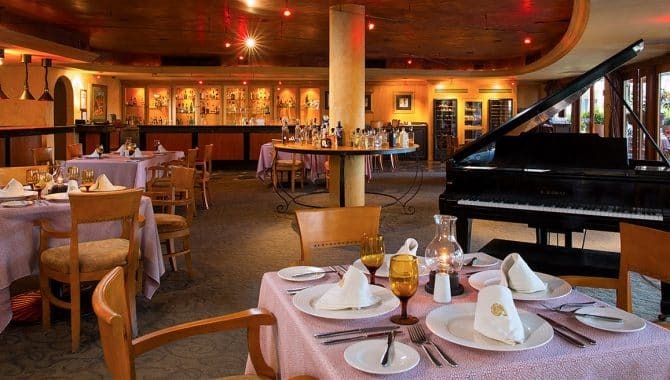 La Casona offers American and Mexican fare for breakfast, then transforms into steak and seafood for dinner, accompanied by an impressive wine list and live piano music. 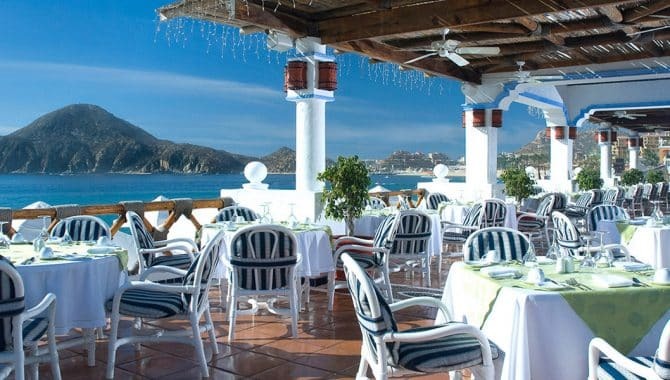 La Parilla offers poolside dining for breakfast and lunch; lighter fare such as sandwiches and salads are available. 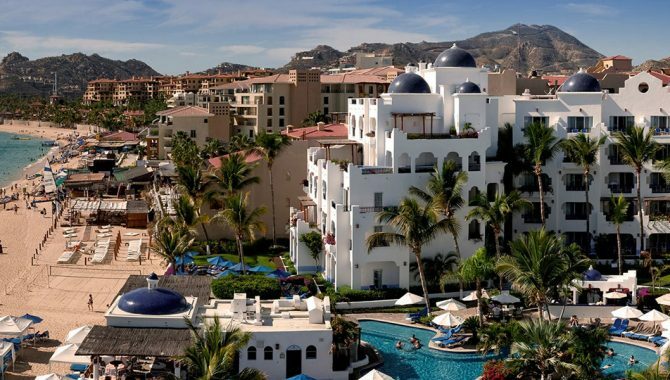 Palmita Market is great for a quick bite or something cool to drink. 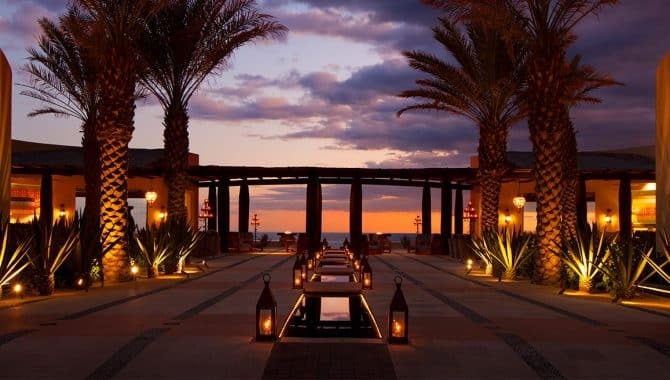 And a romantic sunset dinner on the beach can be arranged with an elegant table for two, wine, and a deluxe dinner, all while surrounded by the glow of tiki torches. 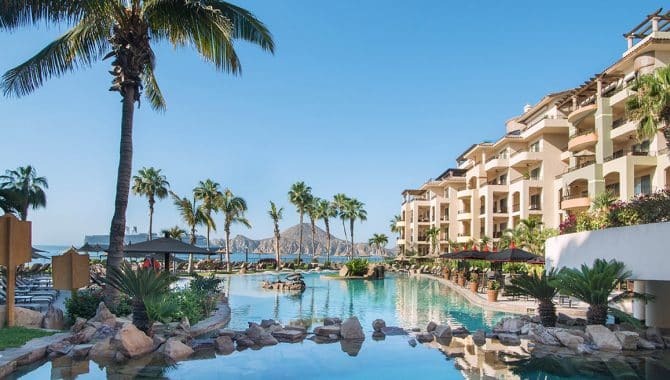 Fun and lively, but without the chaotic spring-break clientele or atmosphere, Villa Del Palmar is a great beach getaway destination for families, couples, and singles. 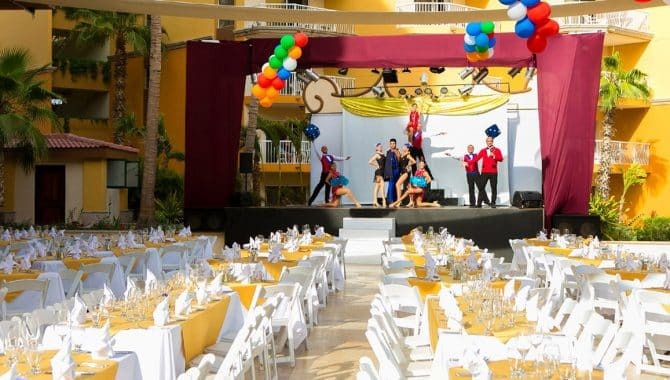 Weekly themed events and an on-site sports bar give social butterflies plenty of opportunities to interact with others. 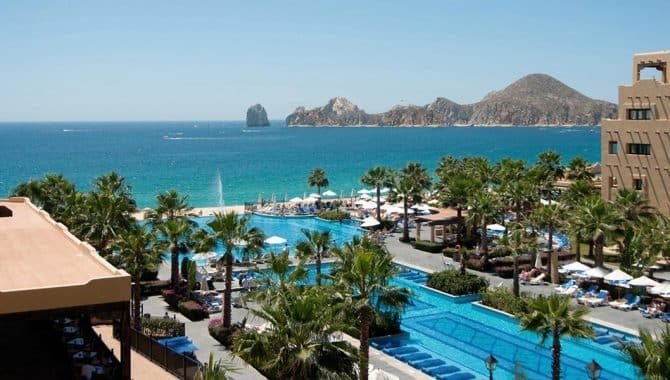 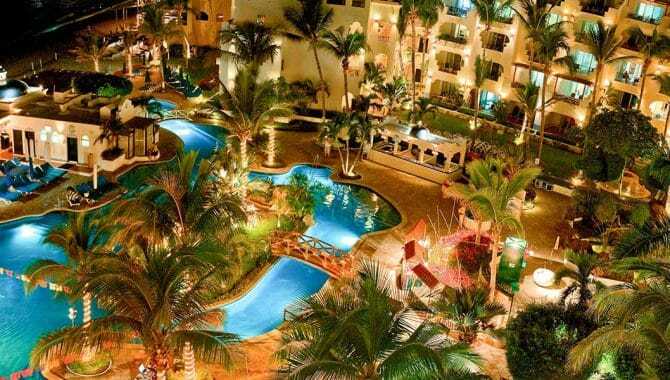 With 460 units, Villa Del Palmar is one of the larger resorts in Cabo San Lucas. 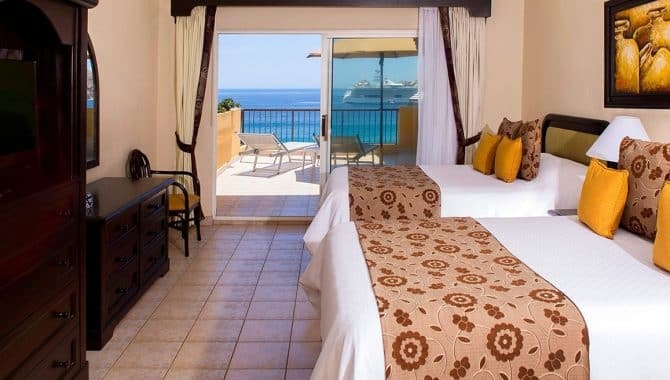 All accommodations have fully equipped kitchens, a balcony or terrace, and many have ocean views. 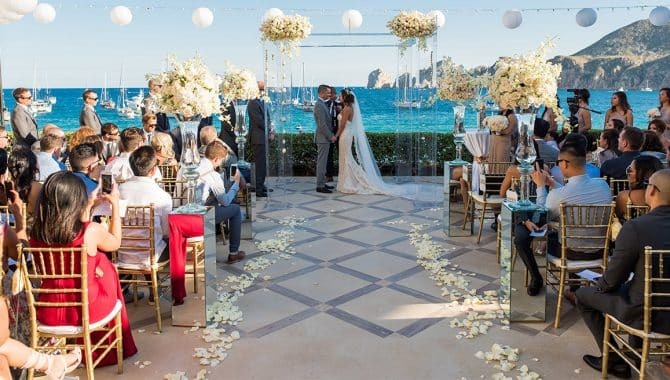 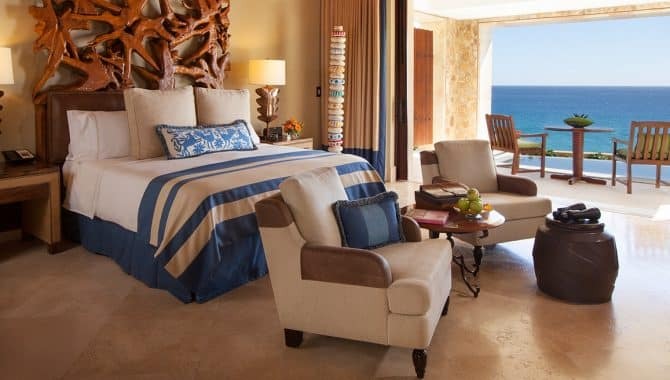 Five different room categories range from junior suites — with two double beds or a queen — to a presidential three-bedroom suite with three bathrooms, a sunken tub, dining area for eight, and a large living area and terrace. 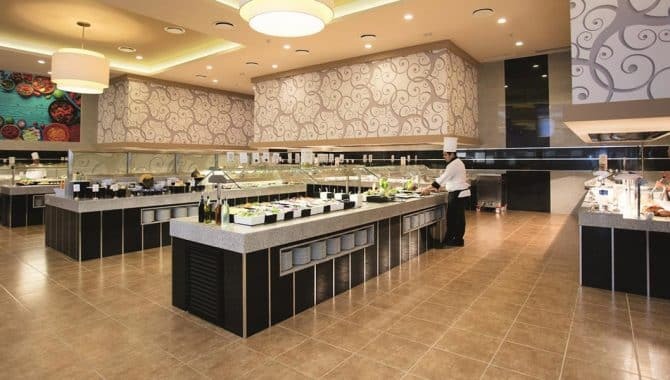 Eight different restaurants are on-site, offering a wide variety of food to accommodate every mood and palate. 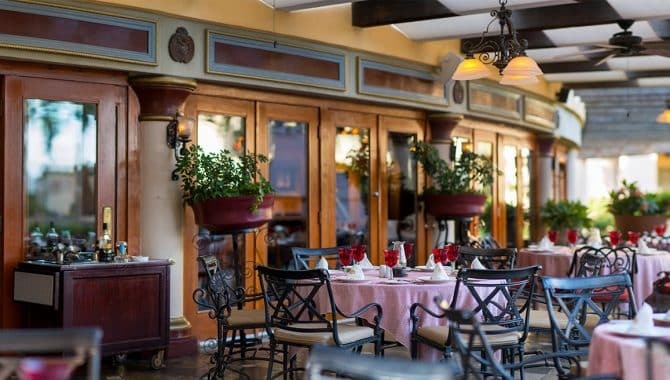 Choose from Argentinian, Mexican, sushi, deli selections, grilled favorites, Californian-Italian fusion, and healthy “farm-to-table” fare. 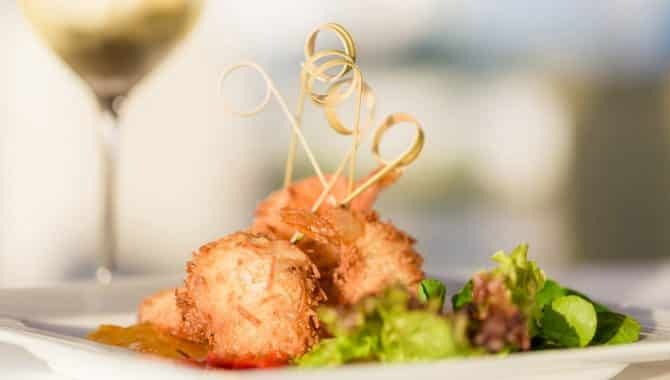 Guests with the all-inclusive package have access to buffets for breakfast, lunch, and dinner, and the menus change throughout the week to coincide with various theme nights and events. 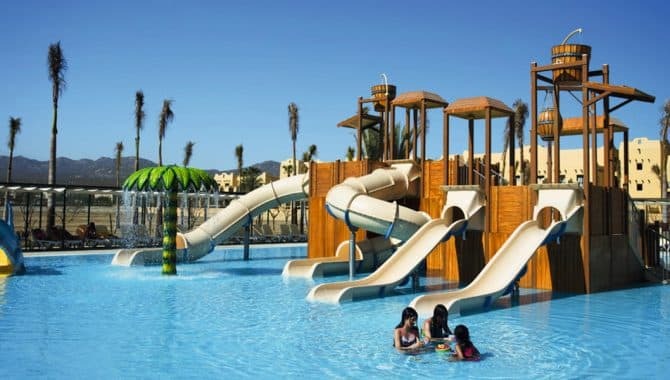 Dozens of on-site activities will keep everyone in the family busy. 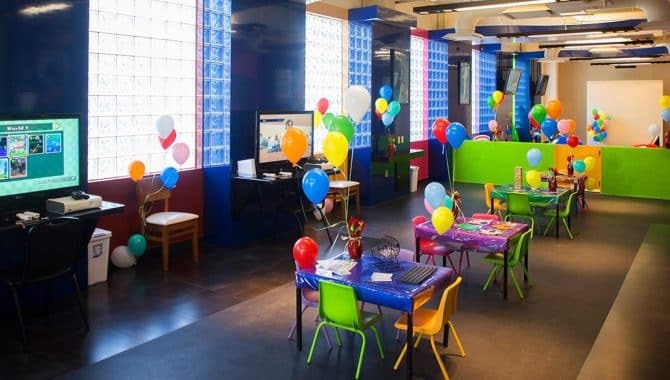 For kids, there are a variety of arts, crafts, games, and classes. 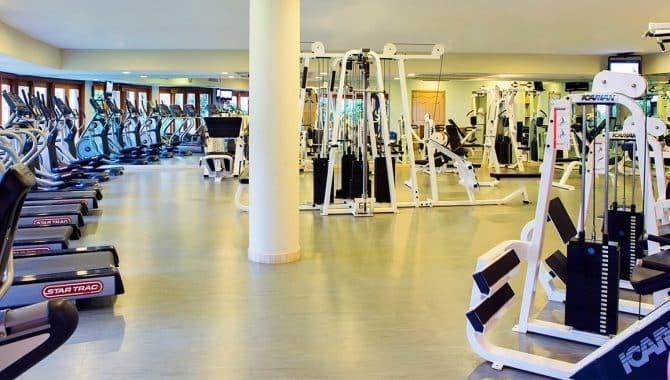 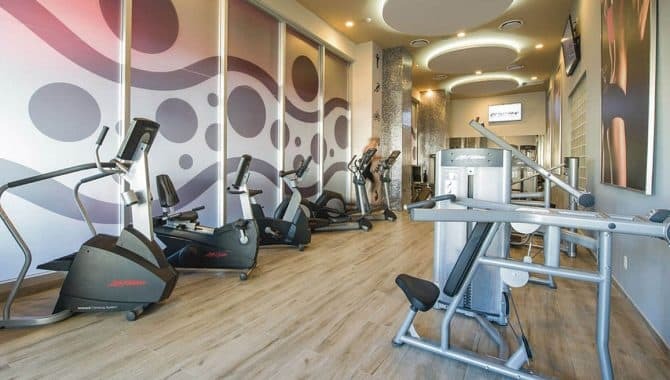 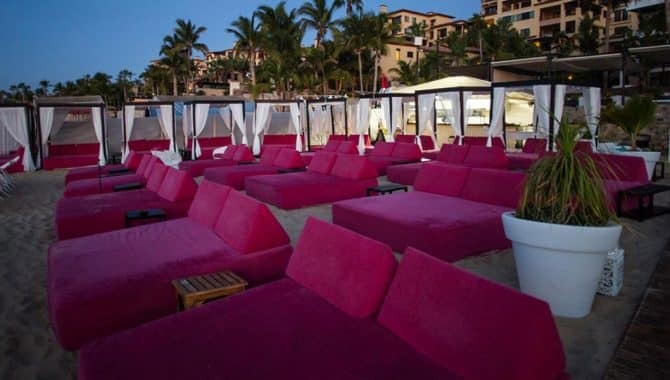 Adults have plenty of options as well—beach volleyball, mini golf, water aerobics, kayaking, paddle boarding, mixology classes, cooking classes, dance classes, games, movies, and live shows. 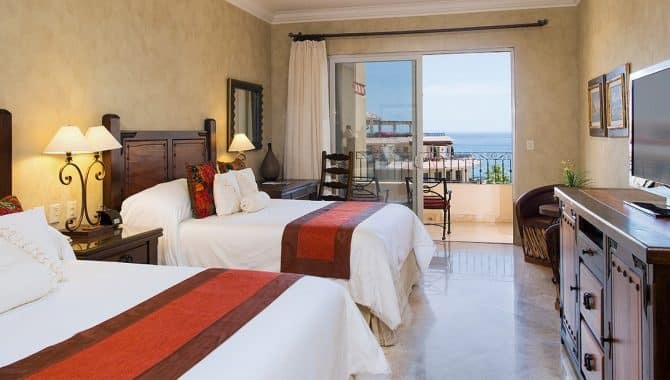 The luxury accommodations at Casa Dorada Resort & Spa include one-, two-, and three-bedroom suites and penthouses, each with its own private balcony and spectacular ocean view. 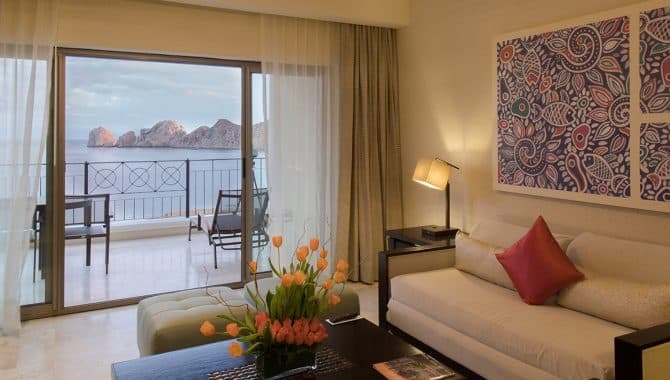 Contemporary decorations, abstract artwork, and desert-influenced colors and fabrics adorn the rooms. 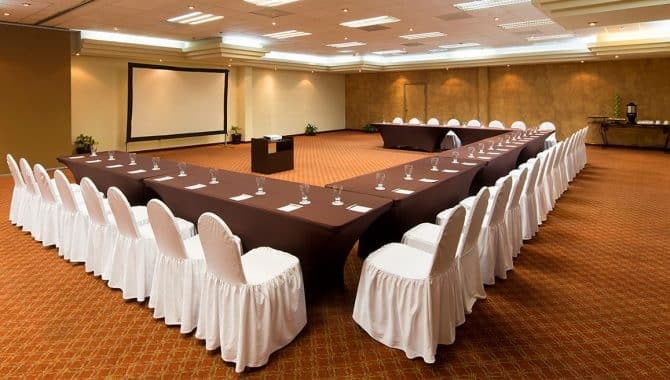 Modern amenities include USB ports, multiple flat-screen TVs, and iHome docks. 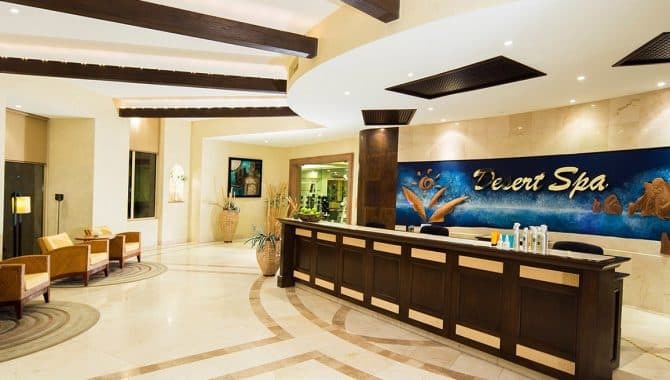 Fully equipped kitchenettes are stocked with hot plates, dishes, coffeemakers, toasters, and microwaves. 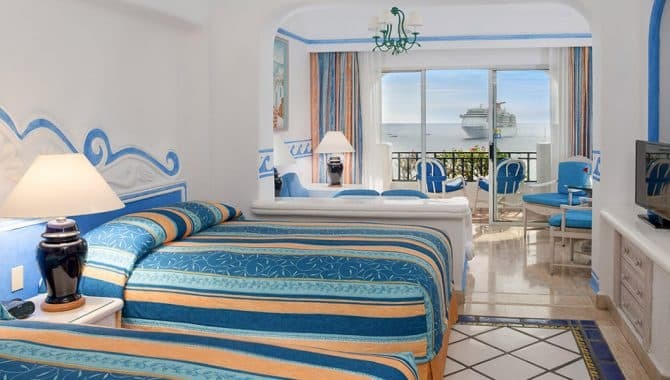 Larger rooms also have refrigerators. 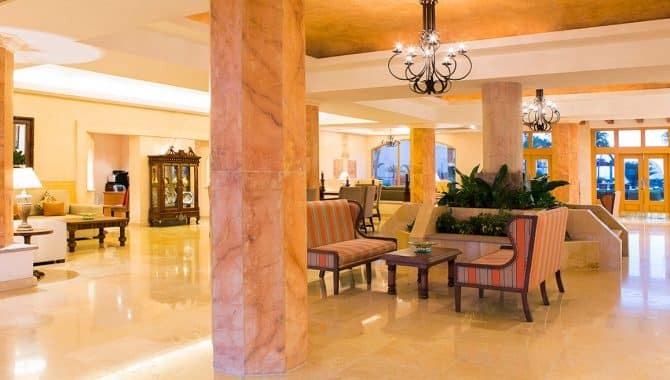 Pet-friendly suites are available. 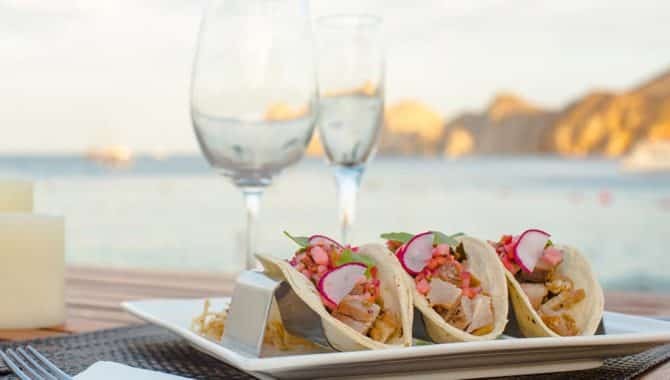 Five on-site restaurants mean that every mood and palate can be accommodated. 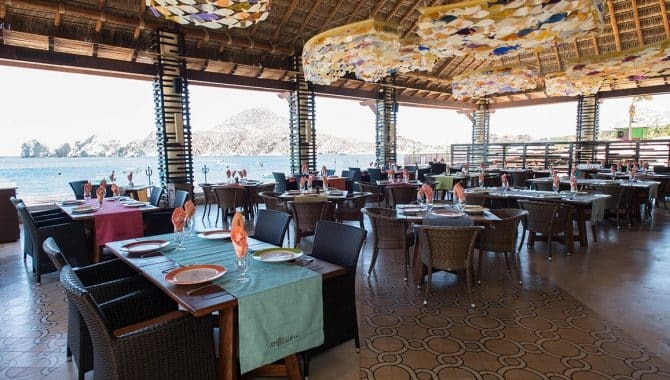 The resort’s main restaurant, 12 Tribes, serves upscale Mexican fare and fresh seafood with a stunning sea view. 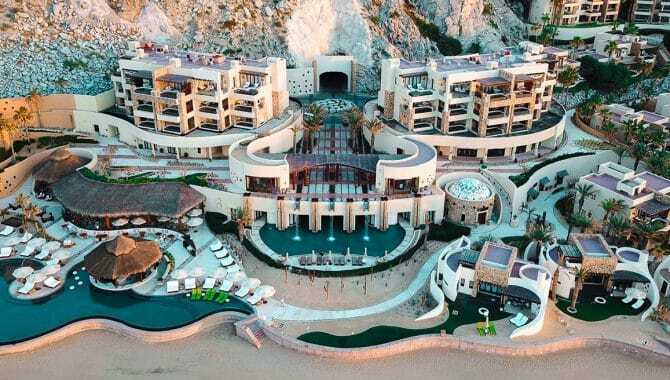 One floor below is Maydan, serving a buffet breakfast (extra) in the morning and then becoming a beach club that offers lunch and snacks later in the day. 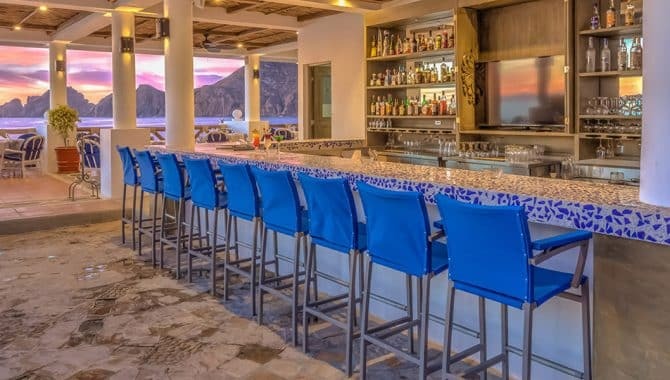 For guests who are relaxing at the pool and want a drink, sandwich, salad, or light snack, Okianus — with a swim-up bar — is just a few feet away. 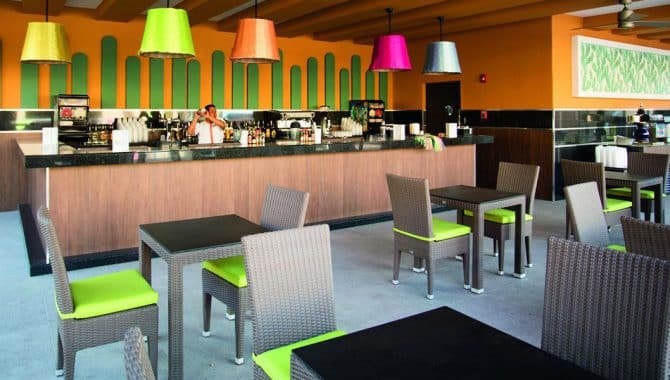 Trattoria & Sushi Bar serves up great Italian and Japanese fare, and to round out the quintet, The B is a casual bar that offers snacks and delicious pizza. 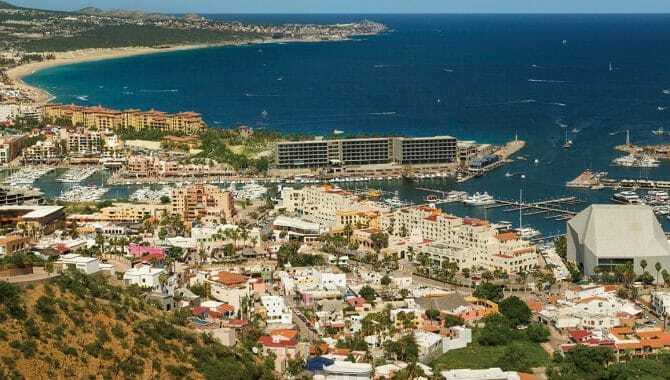 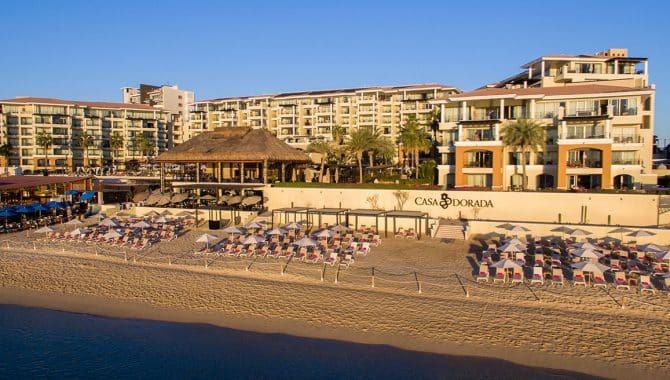 Cabo San Lucas is famous for its beach and water activities, and the concierge at Casa Dorada Resort & Spa can help you plan anything you like. 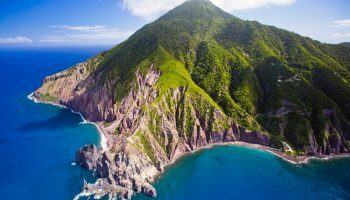 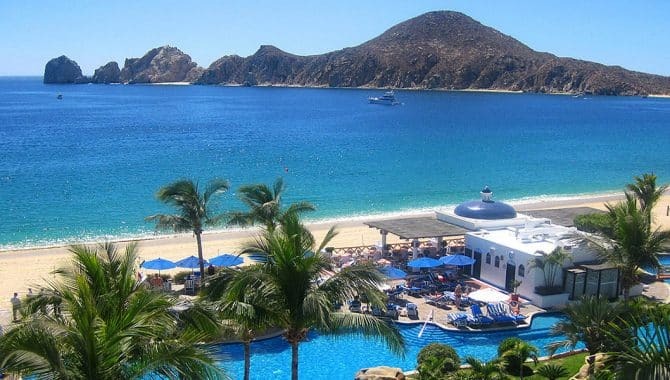 Whether it’s snorkeling, diving, sailing, deep sea fishing, flyboarding, kayaking, sightseeing, golf, biking, an eco-tour, or riding an ATV through desert canyons, just say the word, and you’ll get all the help you need to plan a great outing. 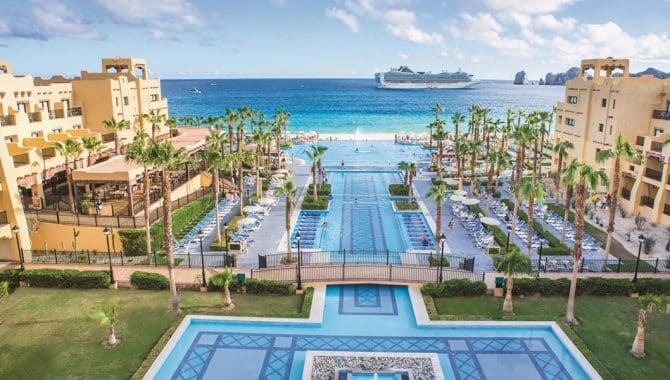 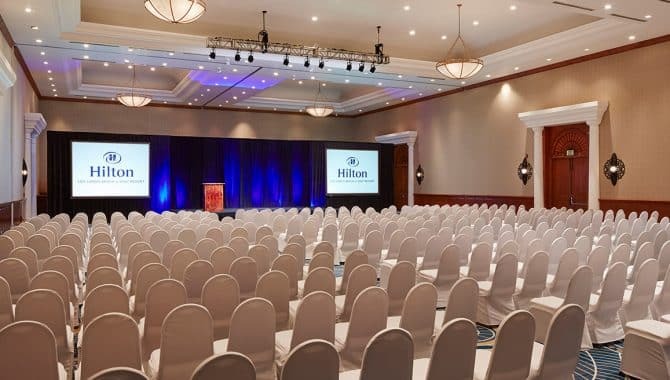 Hotel Riu Palace Cabo San Lucas provides a serene atmosphere where both parents and kids can find the perfect balance of fun and relaxation. 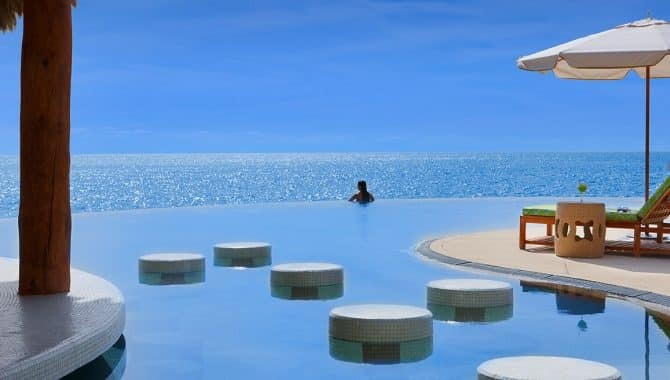 There are two large pools, both of which offer swim-up bars and drink service. 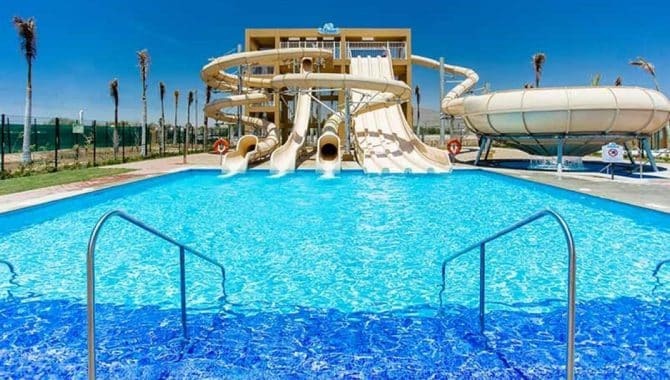 Each one is also accompanied by its own kids’ pool. 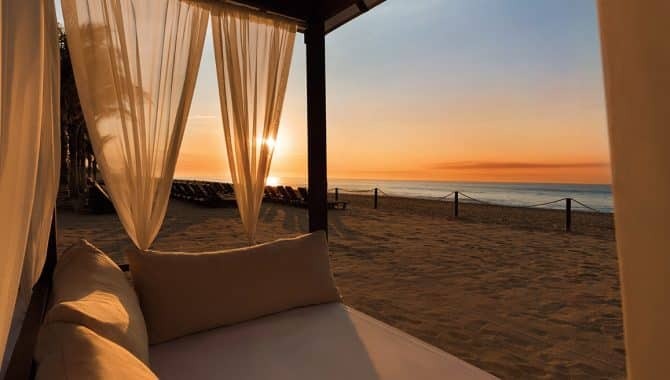 Need a chance to unwind? 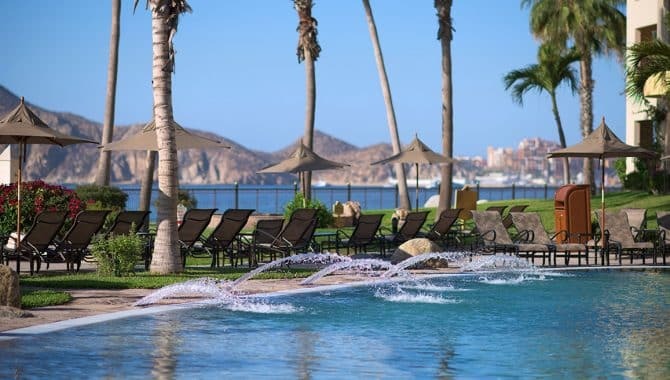 Opt for a dip in the quiet pool before spending an afternoon at the Renova Spa. 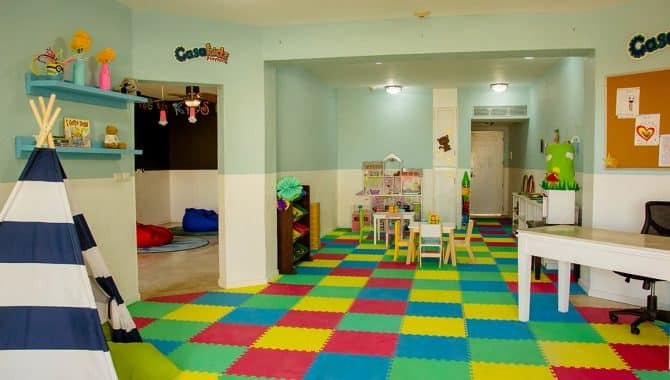 The kids are sure to love the numerous supervised activities at RIULand while you’re gone. 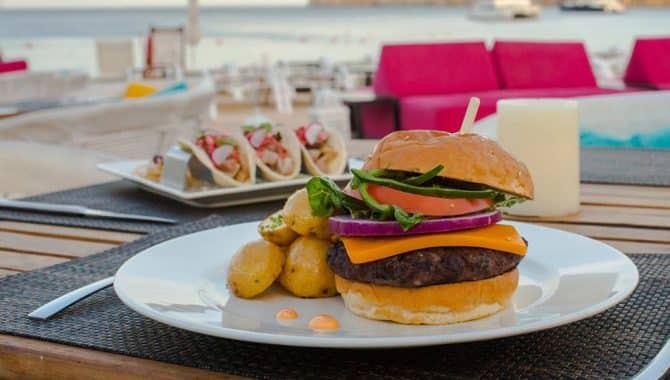 Even a day of relaxation deserves a celebratory meal. 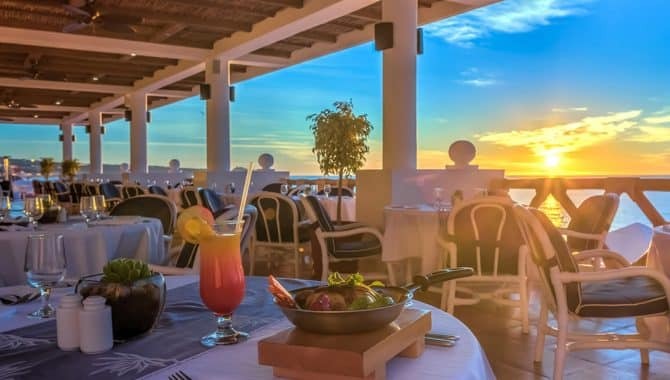 Choose from five delicious à la carte restaurants. 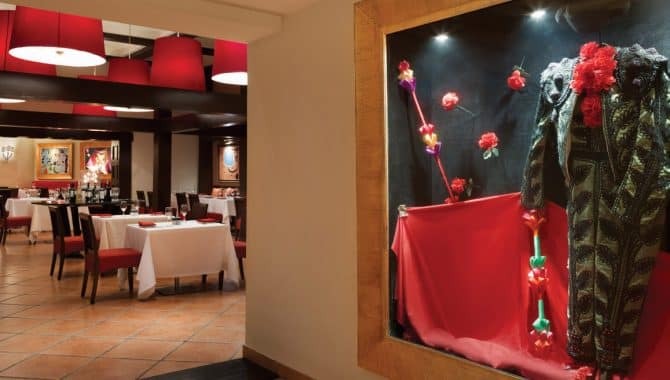 Grab some Japanese cuisine at Masaki, including sushi, or opt for Indian-inspired dishes at Bombay. 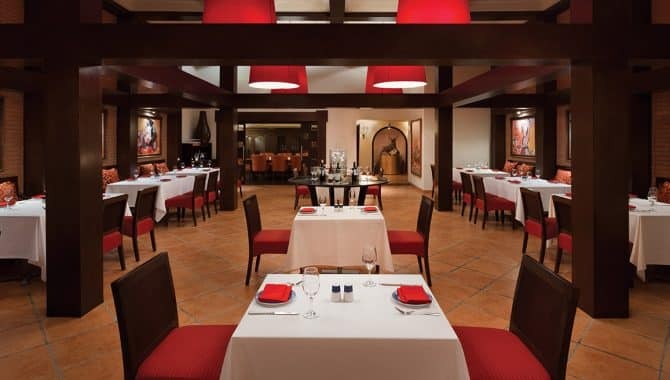 Italian food-lovers won’t want to miss the selection at San José, while steak fans are bound to love El Medano. 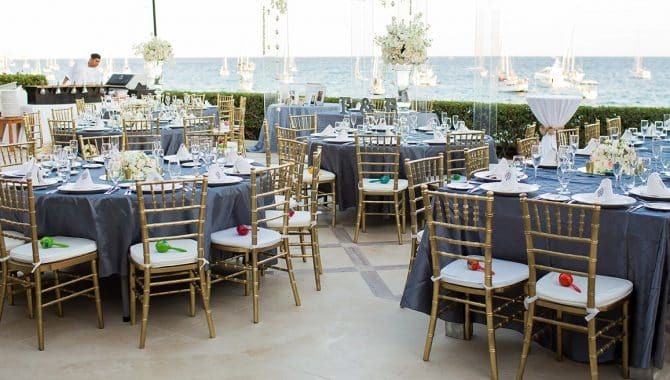 Love a buffet? 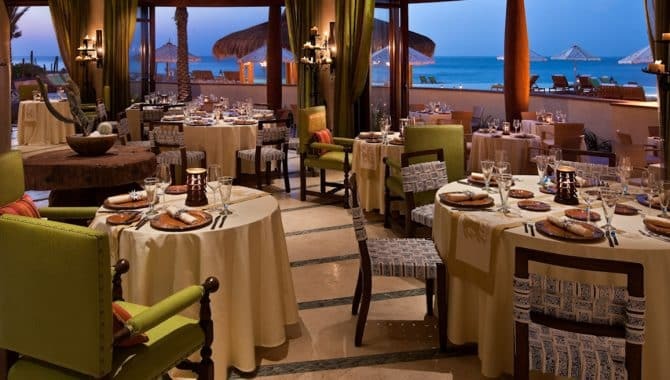 The Mar de Cortez offers an impressive breakfast, lunch, and dinner selection daily. 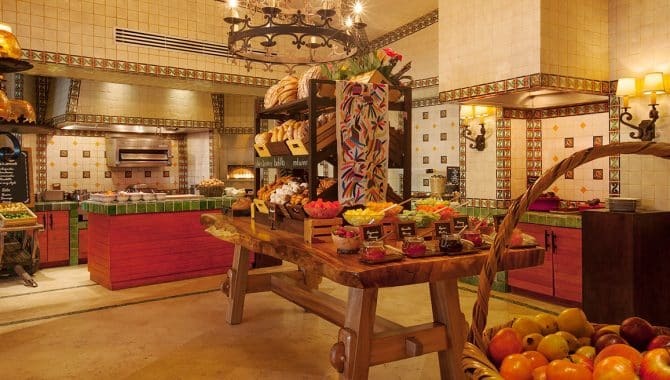 Guests can also grab their favorite desserts all day long at the bakery and ice cream shop, Capuchino. 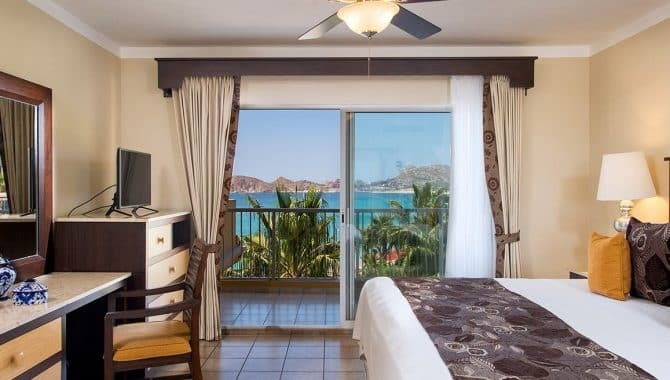 All of the resort’s 600 rooms and suites benefit from free Wi-Fi and around-the-clock room service. 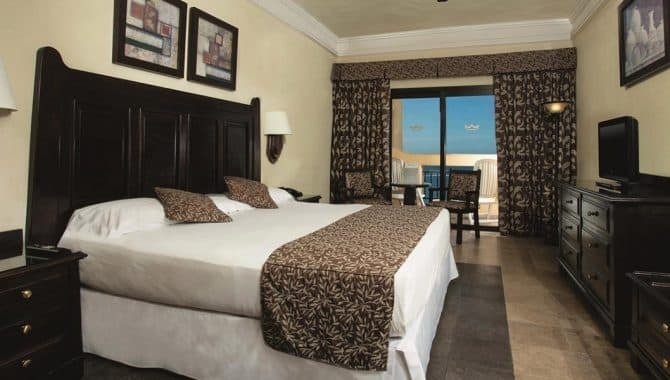 At the base level, a Super Saver Double room will score you a cushy, king-size bed. 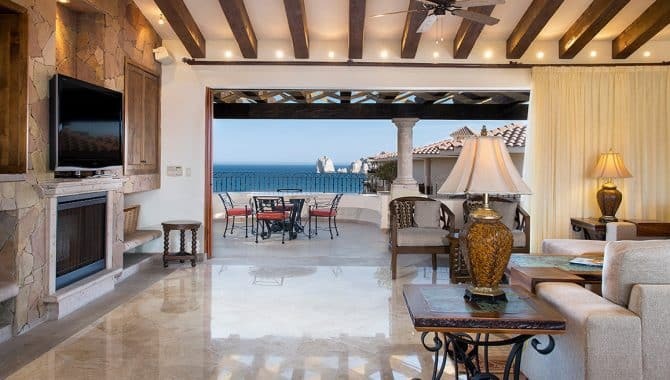 An upgrade to the Standard Double, on the other hand, also ensures a picturesque ocean view. 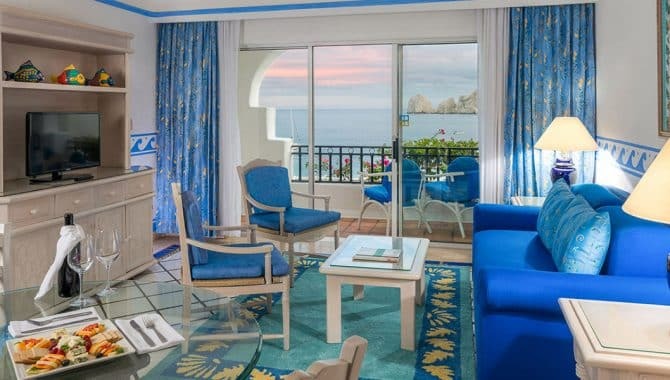 The Junior Suites are fitted with a private balcony or terrace and available with garden, partial ocean, or full ocean views. 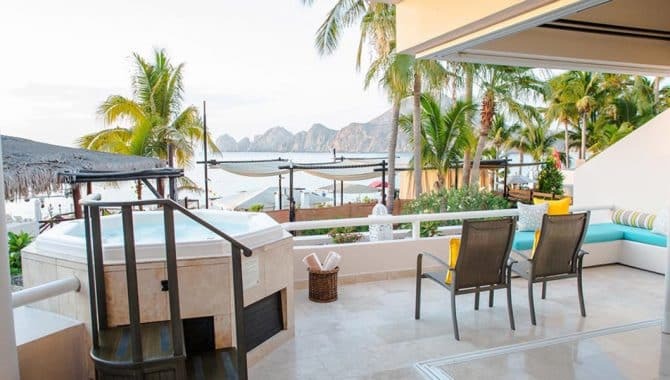 For enhanced comfort, the Jacuzzi Suite offers a hydromassage bathtub and private jacuzzi while the Swim-Out Junior Suite comes with a personal plunge pool on the terrace. 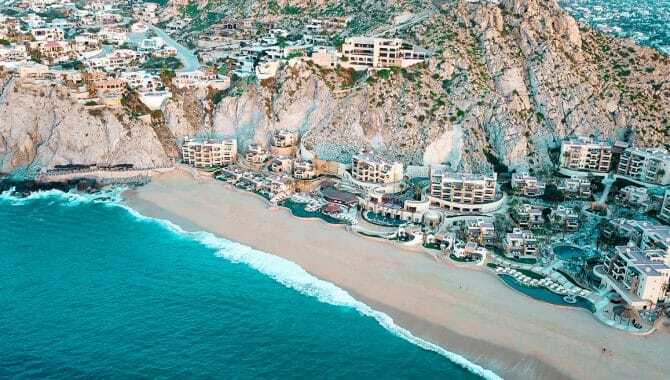 The Resort at Pedregal is designed with luxury in mind. 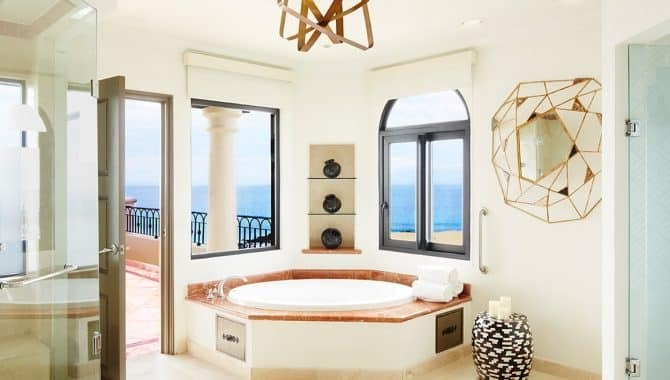 Guests awake to jaw-dropping views of Los Cabos, which are further enhanced with a dip in each accommodation’s private plunge pool. 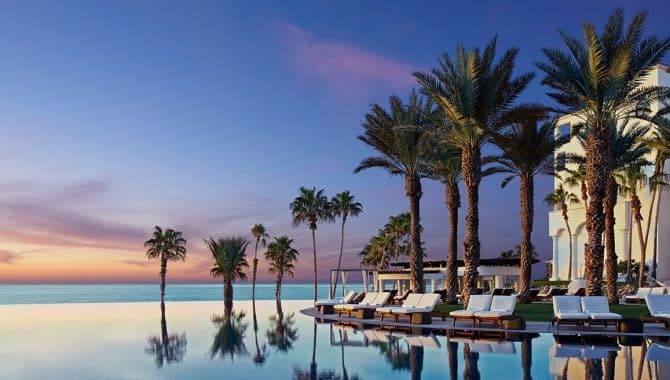 Grab a lounge chair at the infinity pool or partake in a more quiet retreat at the adults-only pool. 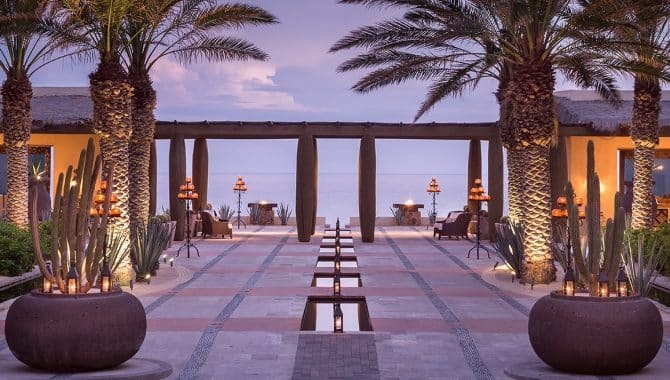 Next, reach peak relaxation with a visit to the Luna y Mar Spa for a face or body treatment before signing up for a cooking or cocktail class. 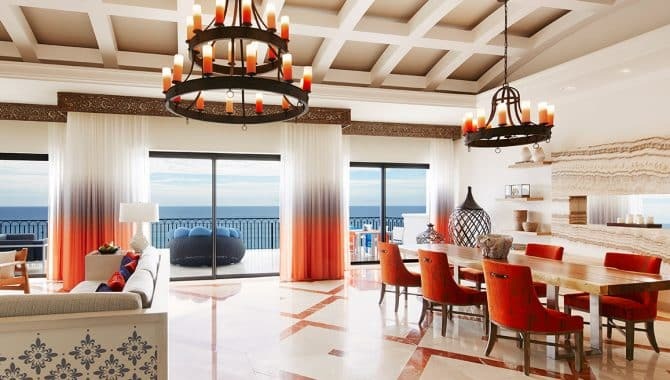 Guests can also find locally rendered, handcrafted souvenirs inspired by Los Cabos’ culture at the AlmArte Gift Boutique. 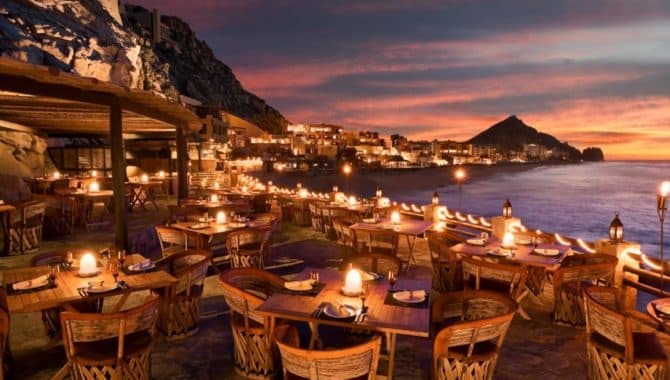 The Cabo San Lucas resort offers two high-end dining establishments. 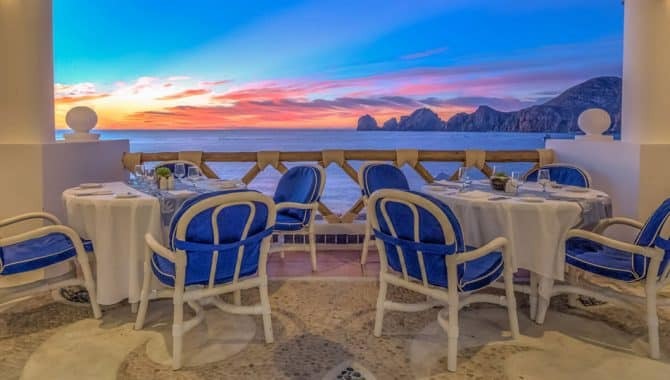 Don Manuel’s takes luxury dining to new heights. 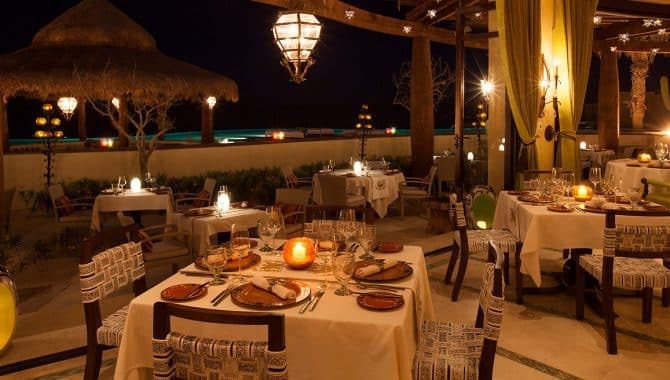 Specializing in Mexican cuisine, guests are treated to handmade delicacies created from fresh ingredients. 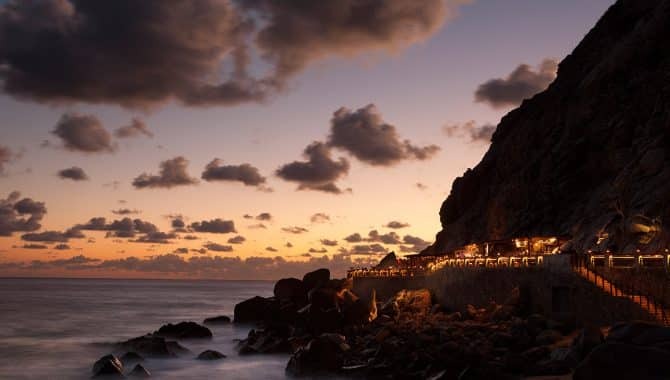 Sculpted into the cliffside, El Farallon offers picturesque ocean views and freshly caught seafood that’s sourced locally. 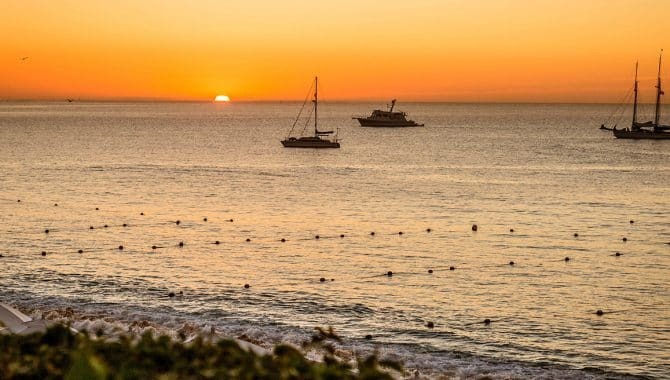 For a more laid-back atmosphere, grab lunch at the Beach Club and a sampler dinner at Crudo. 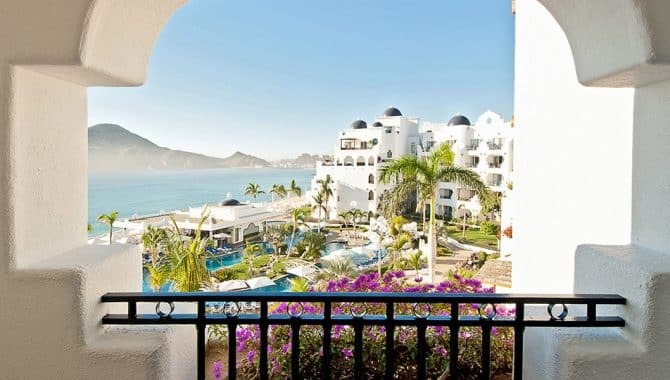 Upon arrival, guests are greeted with a bottle of tequila, fruit bowl, and an assortment of nuts in their rooms. 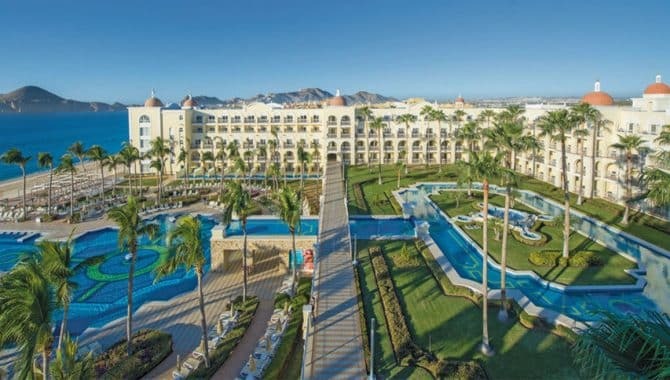 There’s also a complimentary delivery of chips, guacamole, and beer every afternoon. 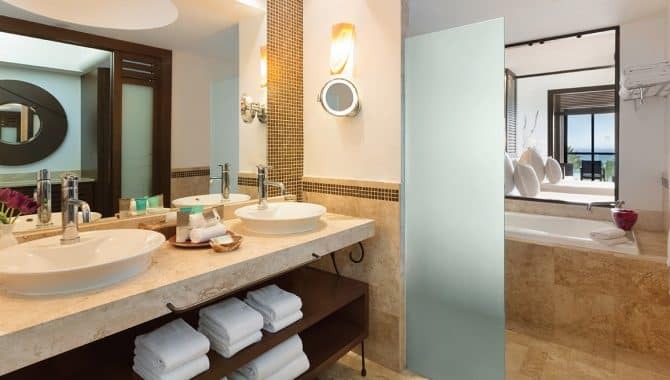 Want extra privacy? 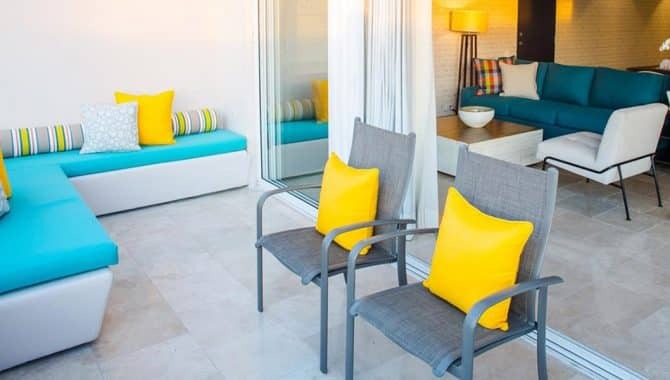 The Estrella Suite offers three privates outdoor areas and a fire pit. 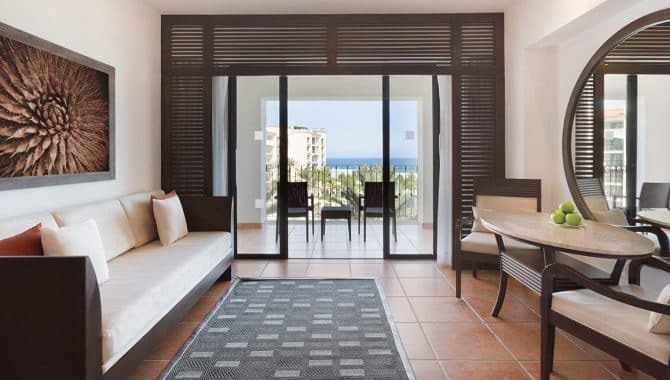 The one- and two-bedroom Beachfront Suite options provide rainforest showers, free Kids’ Club access, and beachside waiter service. 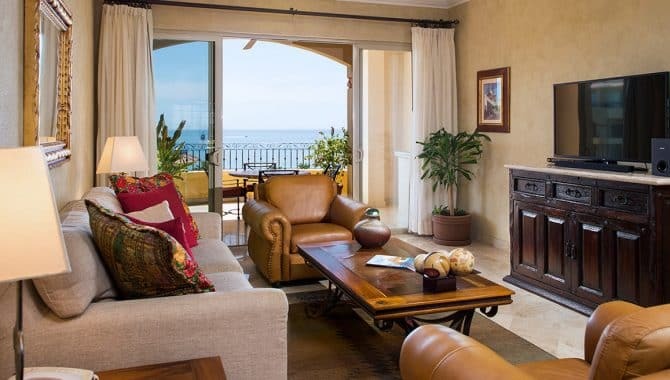 For the ultimate level of luxury, enjoy the private chef service and in-room dining team that accompanies the Premium Ocean View Casita. 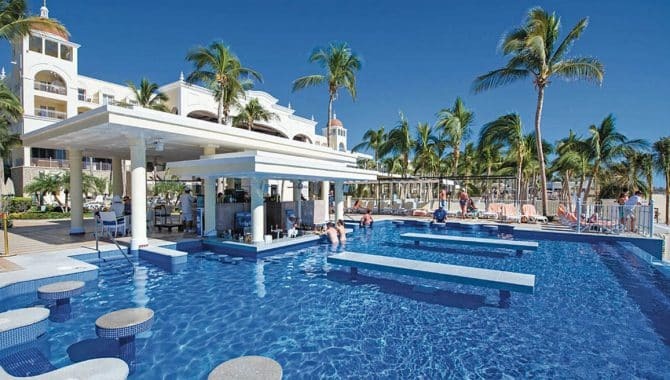 Hotel Riu Santa Fe knows how to have a good time. 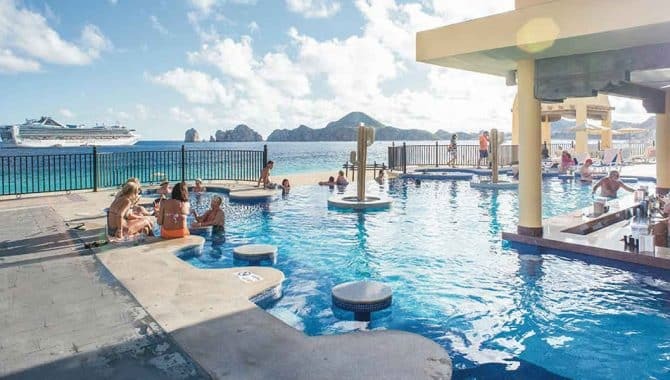 Enjoy endless drinks while soaking up the sun at one of the resort’s five pools, the private beach, or at the on-site water park, Splash Water World. 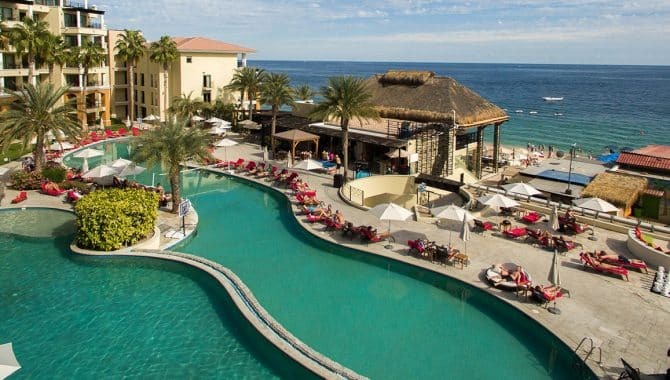 The resort hosts multiple Rui Pool Party events throughout the week, including foam parties and live entertainment. 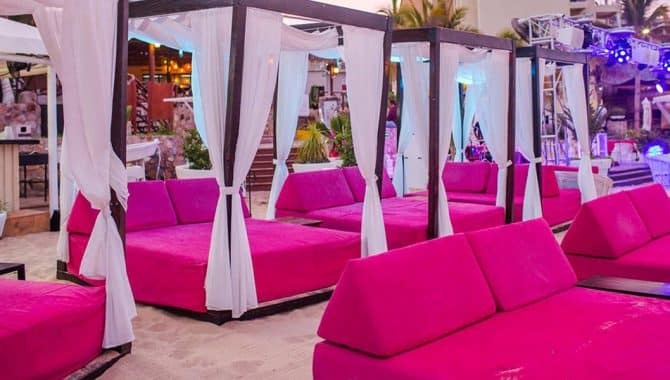 Plus, all guests are granted free access to Pacho — a popular nightclub located on the grounds. 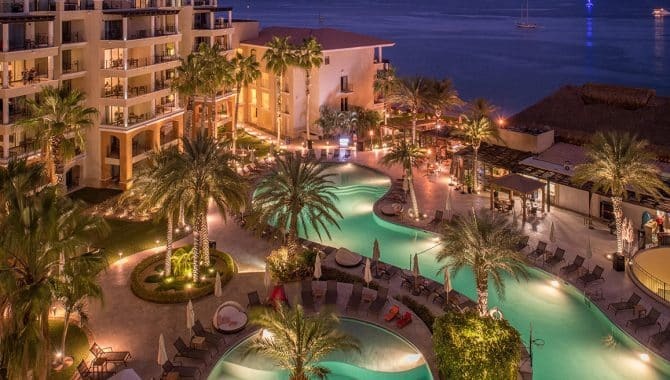 Enjoy a luxurious all-inclusive experience when you choose to stay at the Hyatt Ziva Los Cabos hotel, situated in trendy San Jose del Cabo. 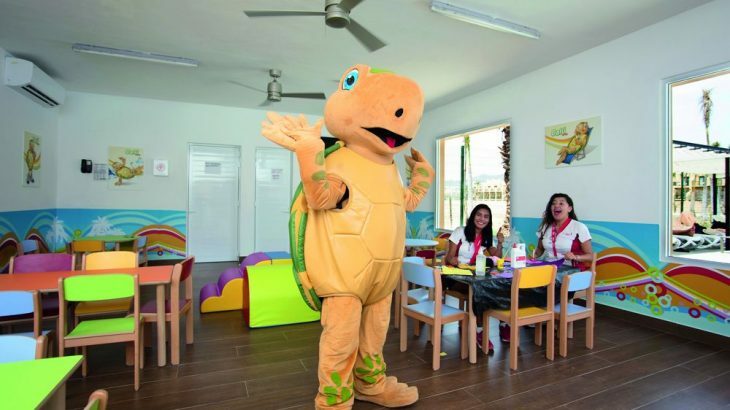 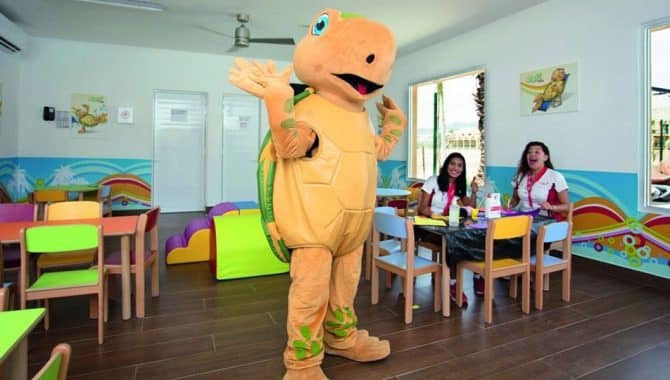 While marketed as a resort for families, the Ziva goes to great lengths when it comes to appeasing everyone. 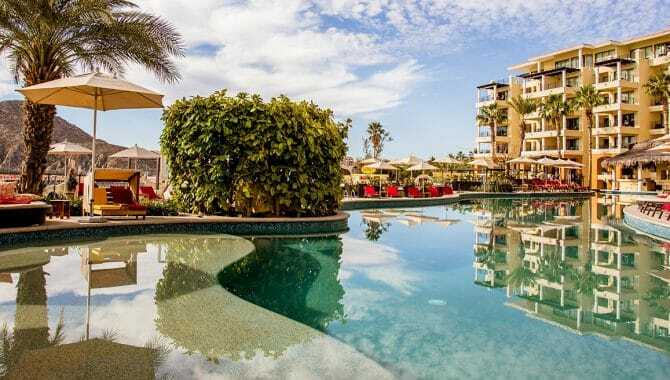 The sprawling property, which features several large pools, including adult and kid-only, ensure everyone has enough space to enjoy the vacation of their dreams. 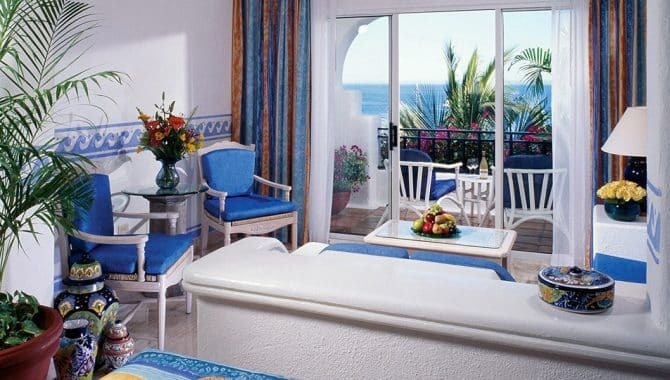 Rooms are large and impressively decorated, and each comes with its own seating area and balcony, some of which open directly to a tranquil private pool. 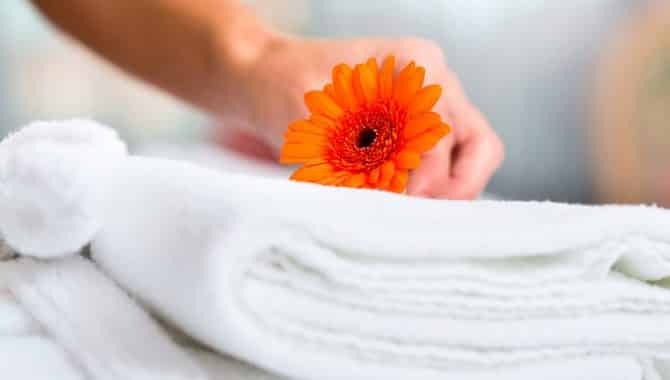 When it’s really time to unwind, a top-of-the-line spa is on-site and ready to provide the five-star treatment you’re looking for. 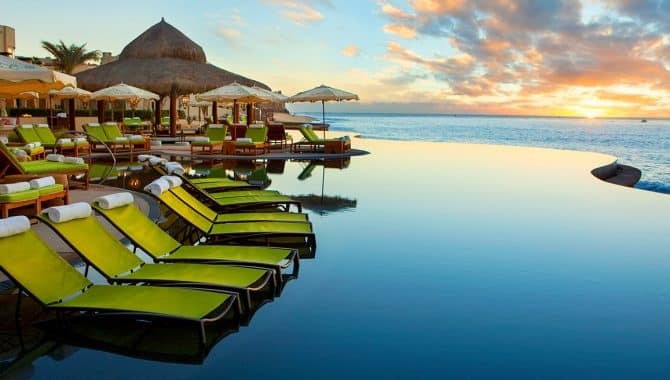 Of course, if you prefer to spend your vacation exploring new and exciting flavors, this resort also offers unlimited all-inclusive access to a wide array of delectable dining options, including a beachfront pizza restaurant (Zaffiro Beach), an authentic Mexican buffet (El Molino), an upscale Japanese restaurant (DoZo), and French cuisine (Bon Vivant). 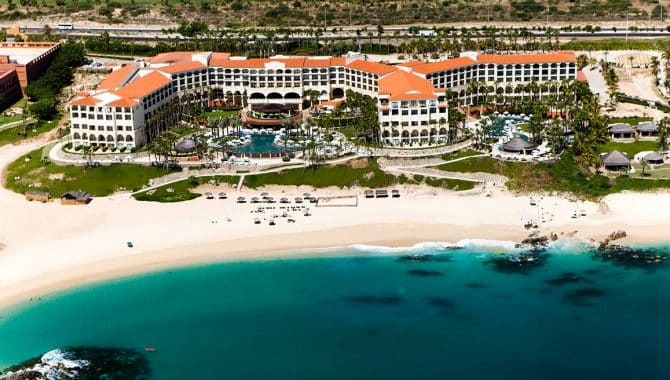 When you say at the Hilton Los Cabos Beach and Golf Resort, you’re in for a truly luxurious stay in the scenic San Jose del Cabo region. 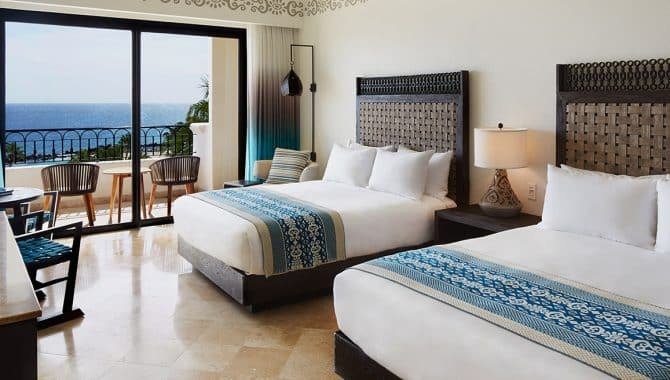 Choose from a large selection of spacious, deluxe rooms with varying bed arrangements for different types of guests. 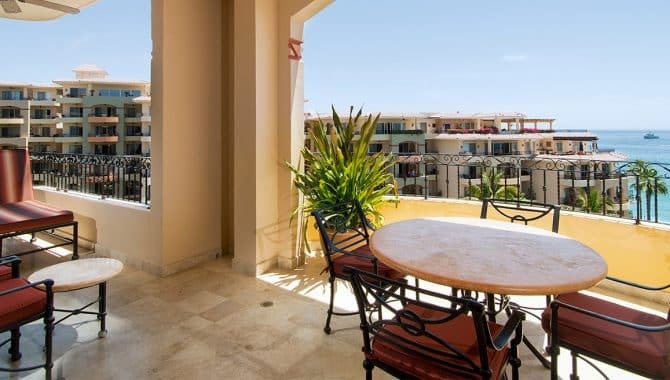 Ocean views and partial ocean views, complete with balconies and patios are also available for those who just can’t get enough of the beach. 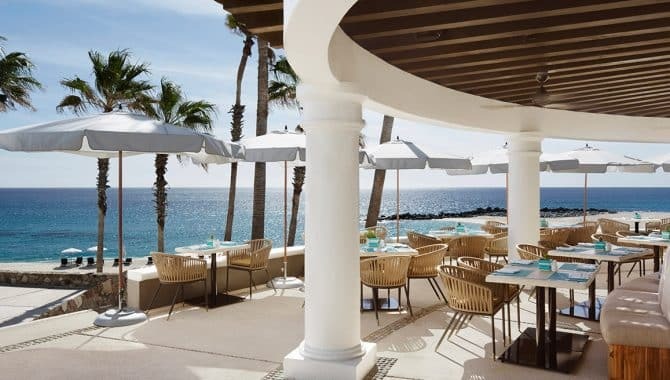 Food options are plentiful, starting with the breakfast buffet at El Meson, a casual eatery that serves an eclectic mix of Mexican, American and International staples in a refreshing outdoor setting. 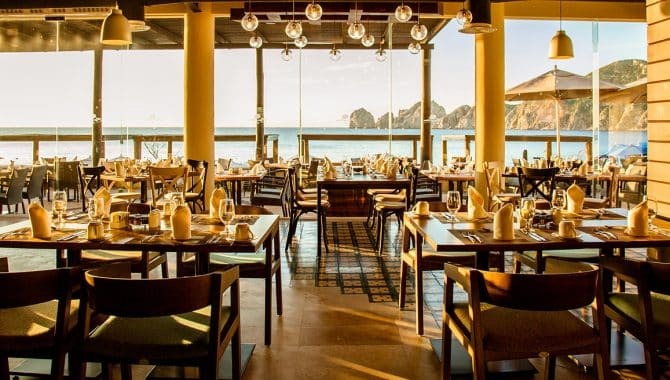 Guests can also enjoy fusion cuisine at Madero, locally-accented Italian in an upscale setting at Vela, and the largest tequila menu in all of Los Cabos at Azul. 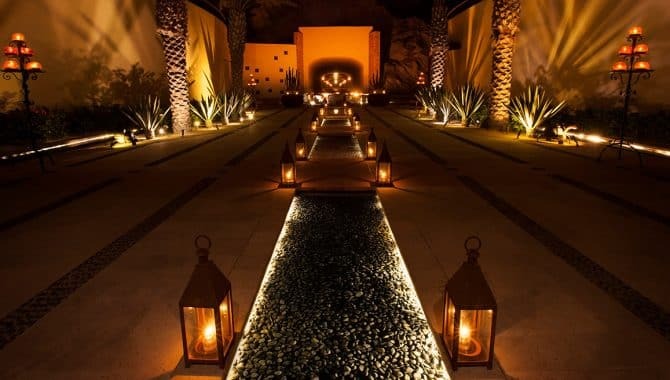 When it’s time to unwind, head to the world-class Eforea Spa, where treatments utilize local ingredients and customs for a one-of-a-kind relaxation experience. 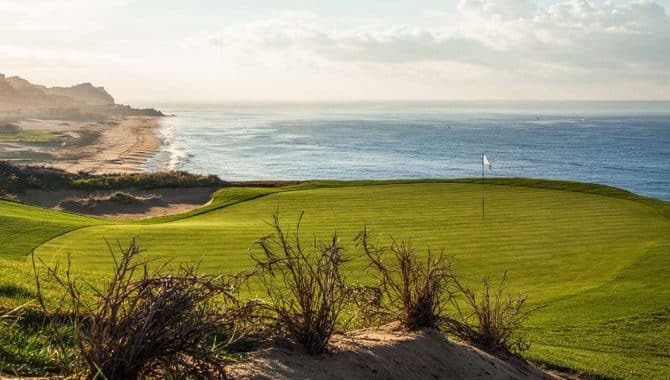 Likewise, sporting travelers will want to hit the links at the renowned on-site golf course, designed by pros Jack Nicklaus and Tom Weiskopf. 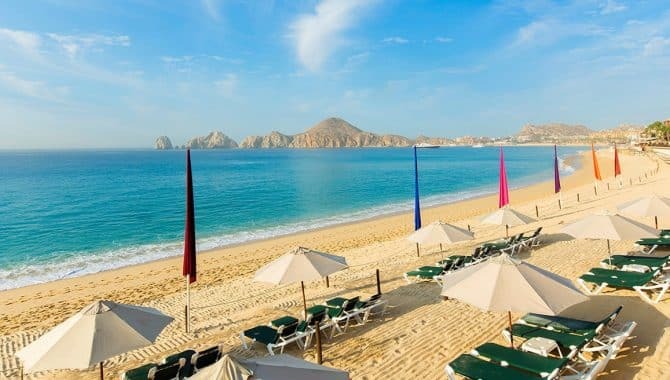 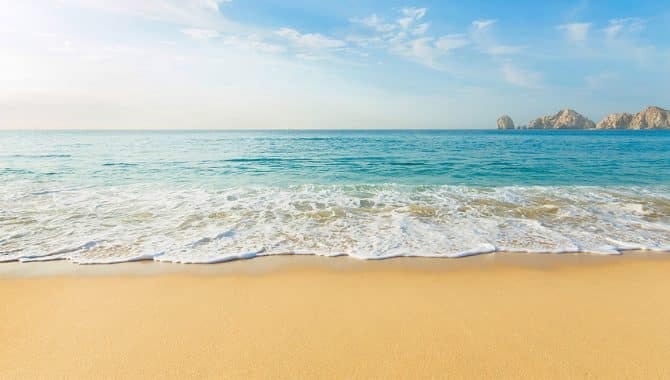 A perfect seaside getaway complete with a stunning beach, spectacular scenery and the fun and excitement of Cabo San Lucas just a few steps away, Pueblo Bonito Los Cabos Beach Resort offers something for everyone. 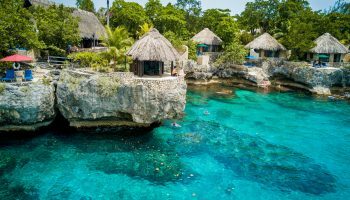 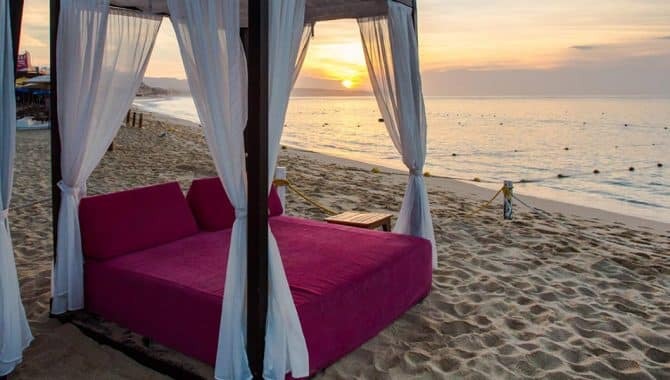 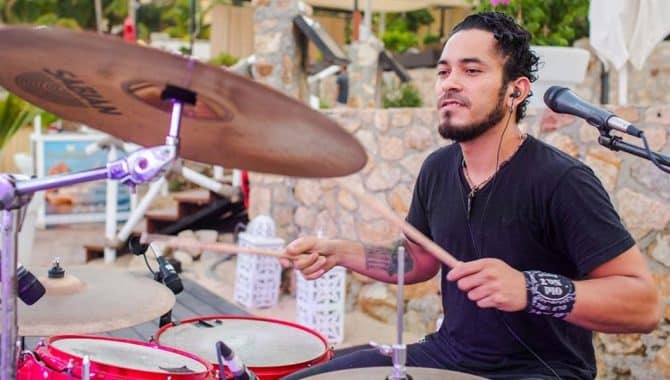 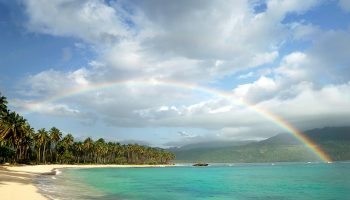 The resort has its own private slice of Playa el Médano, the area’s main—and most swimmable—beach, which is lined with great outdoor bars and restaurants and has lots of fun-in-the-sun beach and water activities. 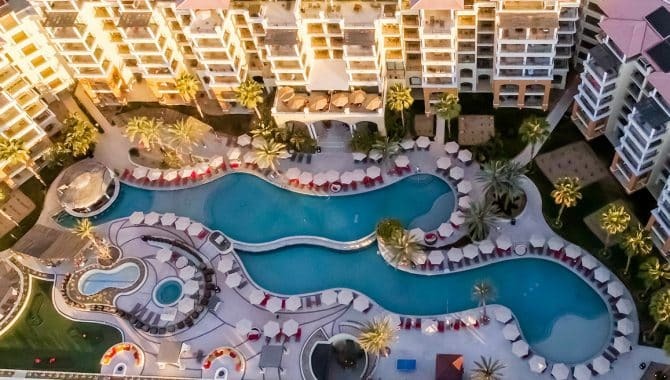 The gleaming white stucco buildings are arranged in a horseshoe around a huge free-form pool, and the resort’s 147 suites feature modern décor and breathtaking ocean views. 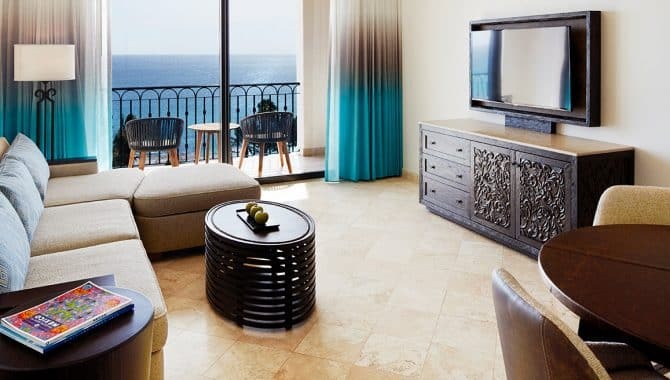 Junior suites, at 525 square feet, can accommodate up to four people, while the 750-square-foot luxury suites are perfect for five or six. 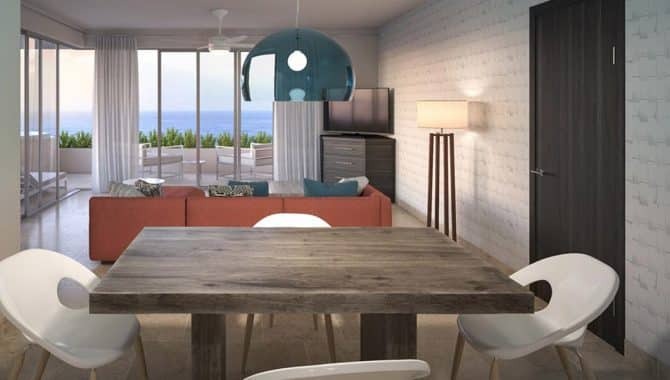 The luxury suites also come equipped with appliances and a separate dining area. 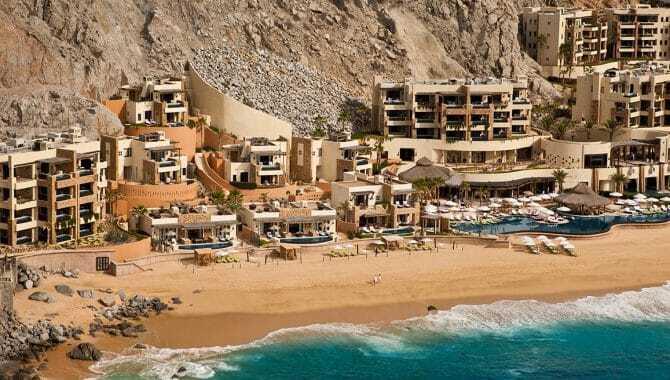 Two delectable restaurants are on site. 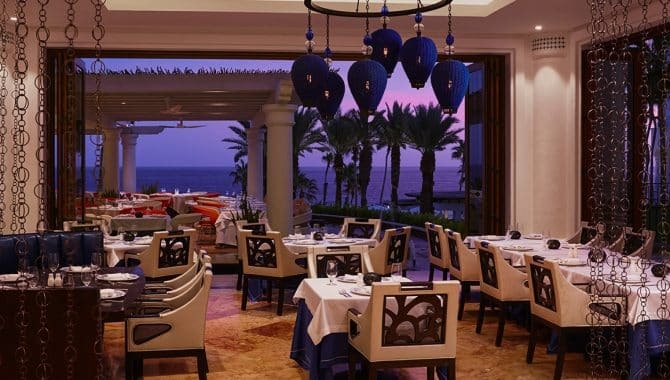 Cilantro’s offers tasty seafood and international fare in a casual beachfront setting. 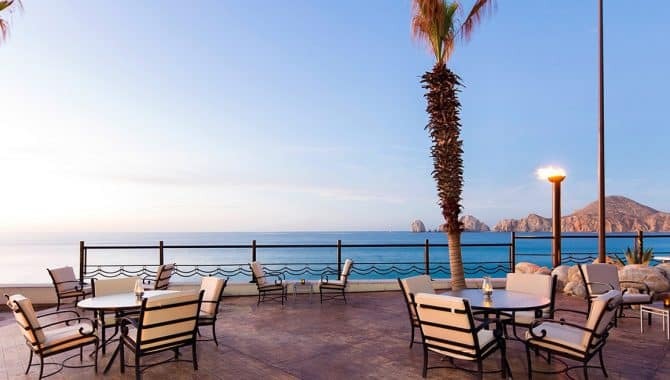 Or, choose Los Palomas for regional Mexican favorites; every table has a great view of the sea, whether it is on the outdoor terrace or in the indoor climate-controlled dining room. 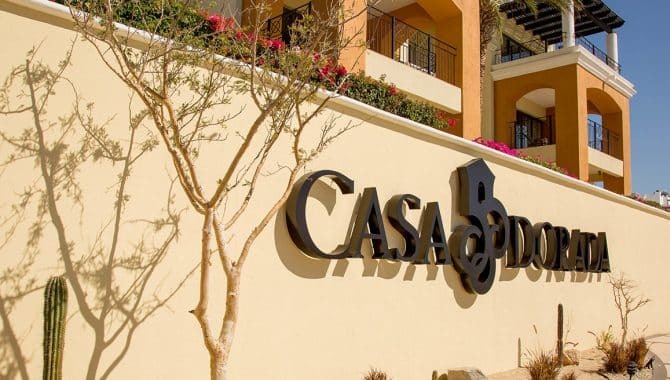 Step inside the Cachet Beach Hotel Los Cabos and prepare to be impressed by an upscale but never pretentious experience. 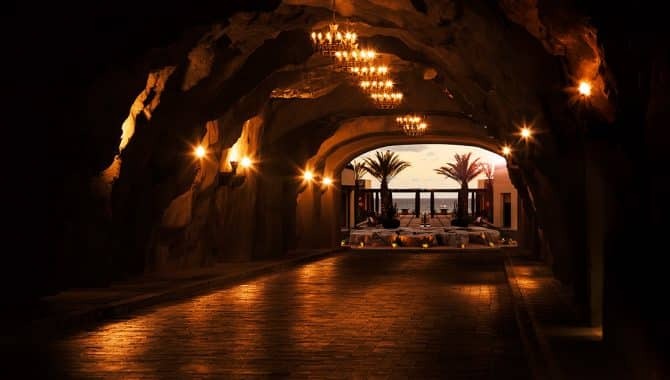 This sparkling luxury resort wows with a wonderful atmosphere, with private beach access and two lovely swimming pools, and is located right in the heart of Cabo San Lucas. 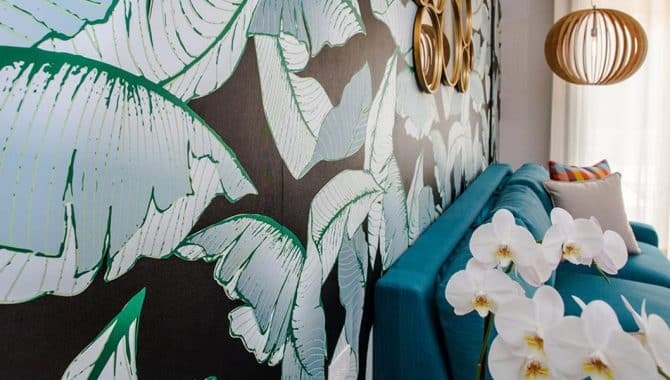 Everything here is curated for maximum comfort, which becomes clear the moment you step foot in the amazing on-site spa and sauna, Sparitual. 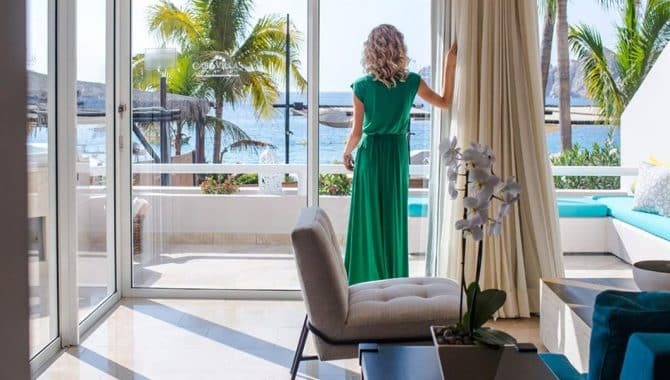 Rooms in the newly renovated hotel are fitfully modern and spacious, with varying suite sizes to suit your travel goals, whatever they may be. 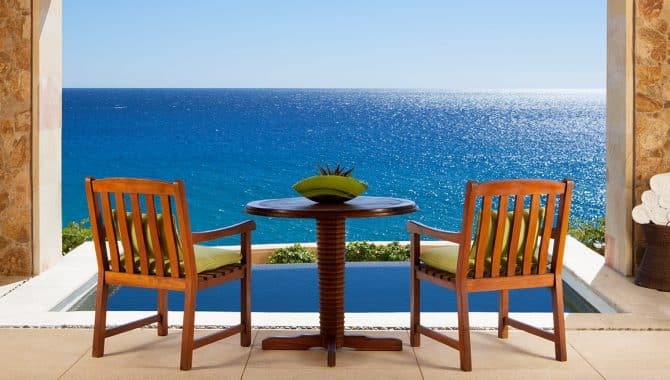 An incredible dining program is custom-suited to please both refined and adventurous palates. 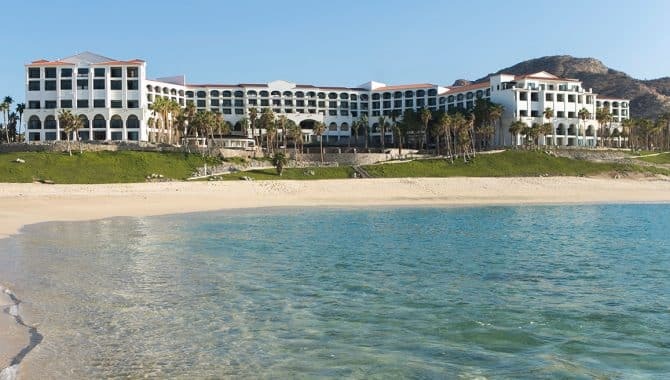 The Beach is the resort’s main restaurant, offering a menu that prominently features locally-caught fresh seafood. 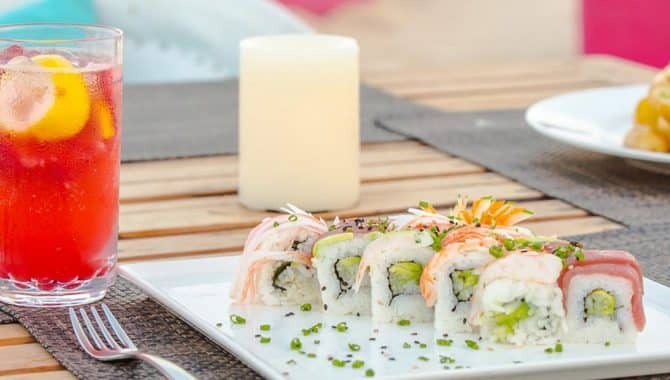 Anyone that enjoys sushi will also want to dine at the Cachet Beach Club, where a waterfront party atmosphere with world-renowned DJ’s is the norm. 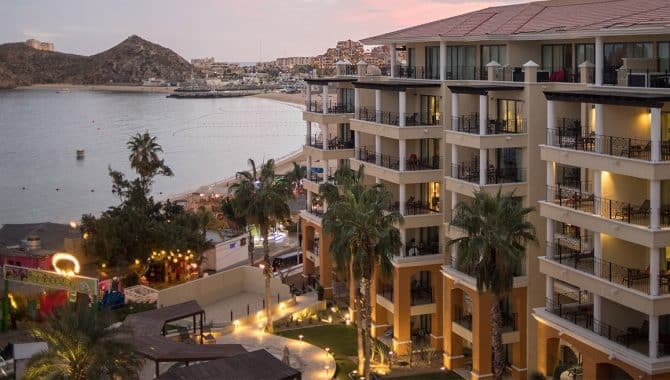 Of course, the star of the show might be the Baja Brewing Company, an all-day rooftop bar serving upscale eats (and the first microbrewery in all of Baja).